In a recent move the Bureau of Internal Revenue (BIR) has asked Philippine offshore gaming operators (POGOs) to register first before starting their business. The BIR also requested the Philippine Amusement and Gaming Corp. (PAGCOR) not to issue licenses to online gambling operator unless clearance is secured from the tax agency. According to Revenue Deputy Commissioner for Operations Arnel Guballa all foreign and Philippine-based gaming operators are now required to register under Revenue Memorandum Circular 78-2018. He added that the “resident foreign corporation” stated in the circular also covers POGOs outside the Philippines. He further stated that online activity is sufficient to constitute doing business in the Philippines, thus, a foreign corporation engaged in POGO is considered resident foreign corporation engaged in business in the Philippines and not a non-resident foreign corporation. The registration is a prerequisite in the renewal of the PAGCOR permit. 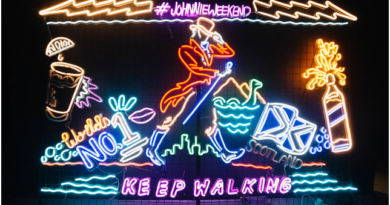 The registration of offshore gaming operators shall be done with the revenue district office having jurisdiction over the place where the head office or branch is located. 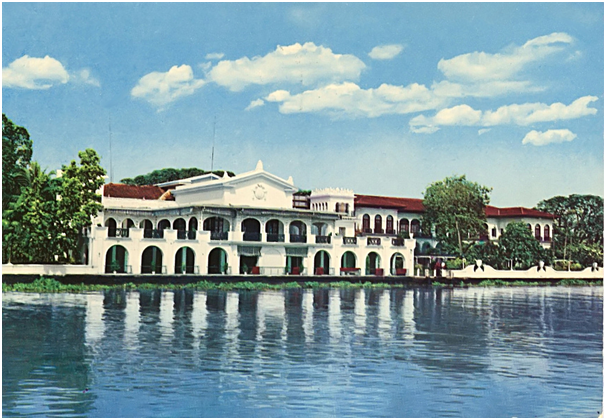 Malacañang Palace backed the move of the Bureau of Internal Revenue (BIR), seeking the inclusion of proof of tax registration and payment in renewing offshore gaming operators who have a hired a growing number of Chinese workers. It supports move to require offshore gaming operators to register with BIR. According to Presidential Spokesperson Salvador Panelo made the statement after the BIR asked the Philippine Amusement and Gaming Corporation (PAGCOR) to include these documents as requirement in renewing the said Philippine-based offshore gaming operators (POGOs). In his press briefing, Panelo said that the move of the BIR was a good way to ensure that all Chinese nationals in the country were not violating any laws. When asked if the government was getting alarmed with the growing number of possibly illegal Chinese workers in the country, Panelo said that BIR’s request to PAGCOR was also one way to ensure that the government was getting the right amount of taxes. 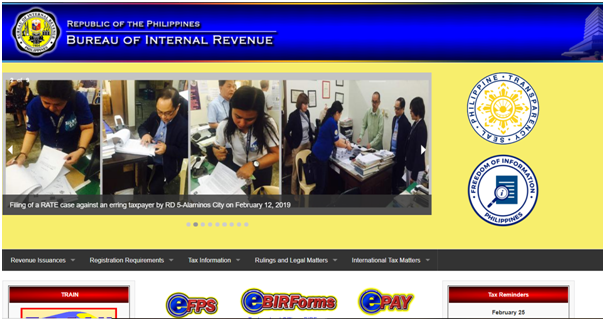 He added that he doesn’t think they are alarmed but maybe the BIR wants to determine the number of nationals because that is connected with the declaration of income and can collect the appropriate corporate tax. 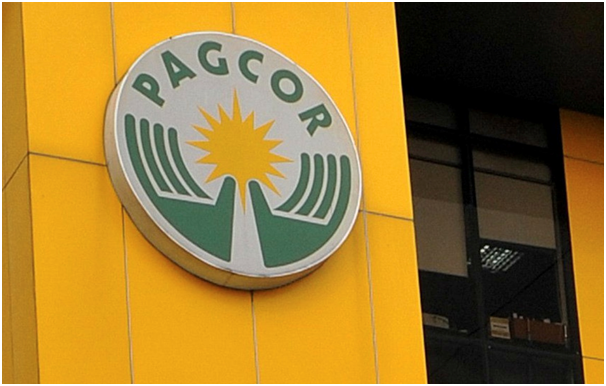 In a statement over the weekend, the Department of Finance (DOF) said that the BIR wants to go after POGOs and has asked the PAGCOR not to renew their licenses until they register with the BIR. The BIR is also reportedly keen on joining a task force led by the Labor and Employment (DOLE) and the Bureau of Immigration (BI) that will monitor the growing number of foreigners who want to take on POGO jobs. 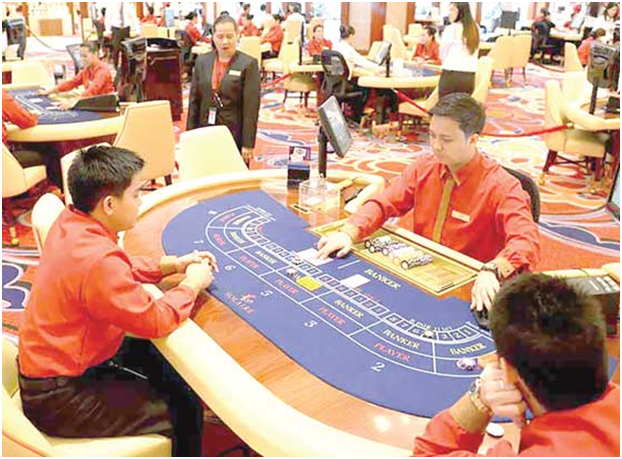 The BI earlier said that online gaming played a factor on the increasing number of Chinese workers in the country. Considering the huge foreign interest in the country’s online gambling business, PAGCOR must ensure that the industry is strictly regulated: revenue must be monitored, taxes should be paid, facilities should not be used to commit crime or engage in money laundering, and employees treated well. 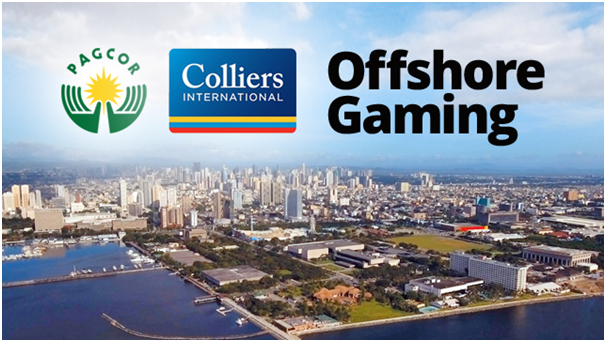 Offshore gaming implies that only foreigners, excluding Filipinos working abroad, can access online casinos. A POGO is a business that provides games to players, taking bets and paying the winners through an online gaming account. The gaming activity refers to online games of chance through online, using a network and software, exclusively for offshore-authorized players who have registered and established an online gaming account with the PAGCOR-licensed POGO. 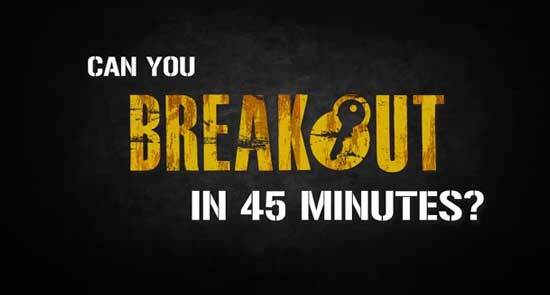 Filipino citizens, even while overseas, are not allowed to play. PAGCOR conceptualized POGO to enable the Philippine government to capture a greater share of the growing, yet previously unregulated, online gaming pie. PAGCOR can issue a POGO license to qualified operators, which could be Filipino-based operators or foreign-based operators. 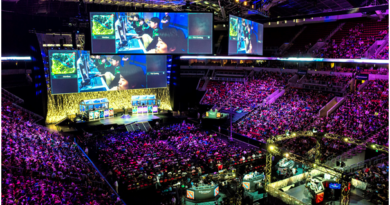 The POGO framework also covers service providers that provide the various components of gaming operations, such as the gaming software provider, business outsourcing provider, and content streaming provider. These providers also need to secure a PAGCOR license. In 2016, PAGCOR issued rules and regulations covering the operations of POGOs. Under Revenue Memorandum Circular (RMC) No. 102-2017, POGO operators and accredited service providers are subject to three types of taxes. Income from gaming operations are subject to a 5% franchise tax in lieu of all kinds of taxes, levies, fees or assessment. This is the same tax regime enjoyed by PAGCOR. Income from other related services or non-gaming operations is subject to normal income tax, value-added tax, and other applicable taxes. POGO operators are not relieved of their liabilities as tax withholding agents. Hence, compensation, fees, commissions, or any other remuneration for services rendered to a POGO by its employees and service providers (e.g., consultants, contractors) are subject to withholding tax on compensation or to the expanded withholding taxes. The Bureau of Internal Revenue recently issued RMC No. 78-2018 to clarify the taxability of POGOs and their registration requirements with local tax authorities. RMC No. 78-2018 further clarified that online gaming activity is sufficient to constitute doing business in the Philippines for a foreign corporation. Thus, a foreign POGO is considered a resident foreign corporation engaged in business in the Philippines, and is not considered a non-resident foreign corporation. As of 2018, there are 55 accredited POGOs, of which 45 are e-casinos and 10 taking sports bets. The number of POGOs is expected to grow considering that the original cap of 50 licensees was waived by PAGCOR. 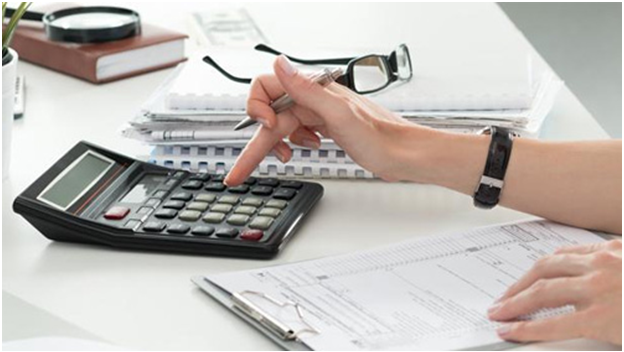 POGOs must file the applicable tax returns on or before the due date, pay the correct internal revenue taxes, and submit information returns and other required tax compliance reports. All POGOs must keep books of account and other business or accounting records, which shall be made available anytime for inspection and verification by a duly authorized Revenue Officer for the purpose of ascertaining compliance with tax rules and regulations. The registration of the books of account should be done within 30 days from the date of registration. 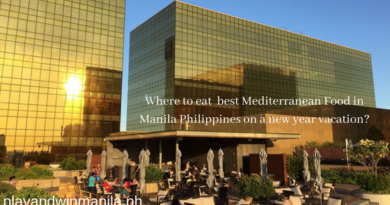 December 1, 2018 Kamal Kaur Comments Off on Where to eat best Mediterranean Food in Manila Philippines on a new year vacation?